On the 9th of march BBT SE CEO Dr. Ing. 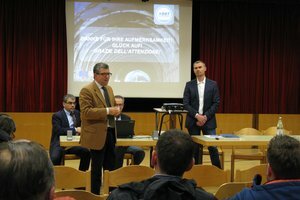 Raffaele Zurlo has officially handed over the new water conducts and related works, realised within the Brenner Base Tunnel project, to the mayor of Campo di Trens, Dr. Peter Faistnauer. 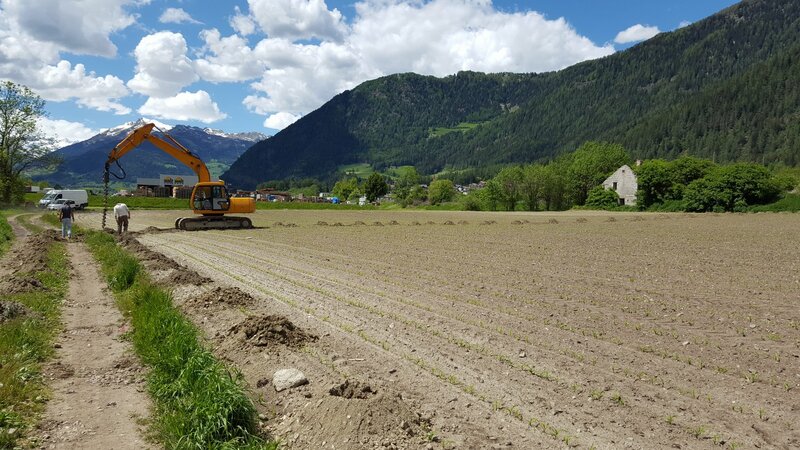 The new infrastructure consists of a new underground water conduct of approximately 7.500 metres length, in substitution of the preexisting conduct between the spring of Stockerbrunnen and the town of Trens. 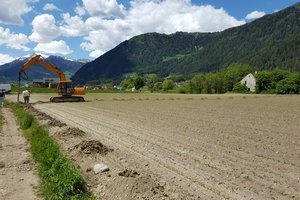 The works also included the construction of a new deacidification facility and a new water reservoir near the town of Trens. The water conduct, which is mostly made of ductile cast iron, guarantees constant water supply for the entire town, even in case the construction of the Brenner Base Tunnel should negatively affect the springs providing part of the water today. 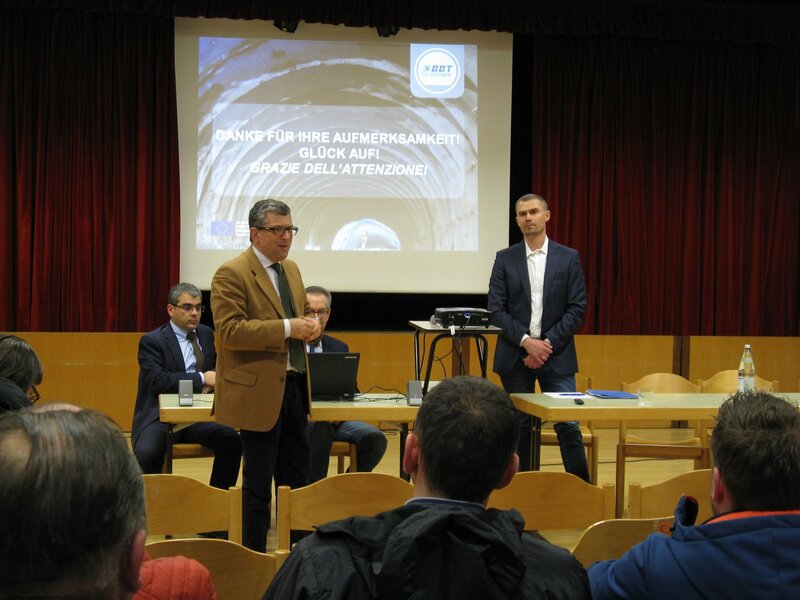 The town of Trens can now satisfy its water needs through the spring at Stockerbrunnen, which cannot be affected by the tunnel construction works due to its location on the far side of the valley. As an additional element to this project, the industrial area of Campo di Trens has been connected to the modernised water network of Trens, hence ensuring the necessary water pressure in case of fire. The measures, designed by Ingenieurgemeinschaft Pardeller GmbH and realised by Wipptaler Bau, are part of the so called „environmental compensation measures” within the Brenner Base Tunnel project. The cost of this specific measure was approx. 1,098,000 Euros. Examples for further compensation measures, planned or already in work phase in the municipality, are extensive works for noise reduction along the existing railroad, restoring of natural fluvial environments, traffic calming along the main road and the design and construction of a theme trail.